Do five products a haul make? I’m not sure, but humour me. I had to restock a few of my must have products, which is thoroughly boring. 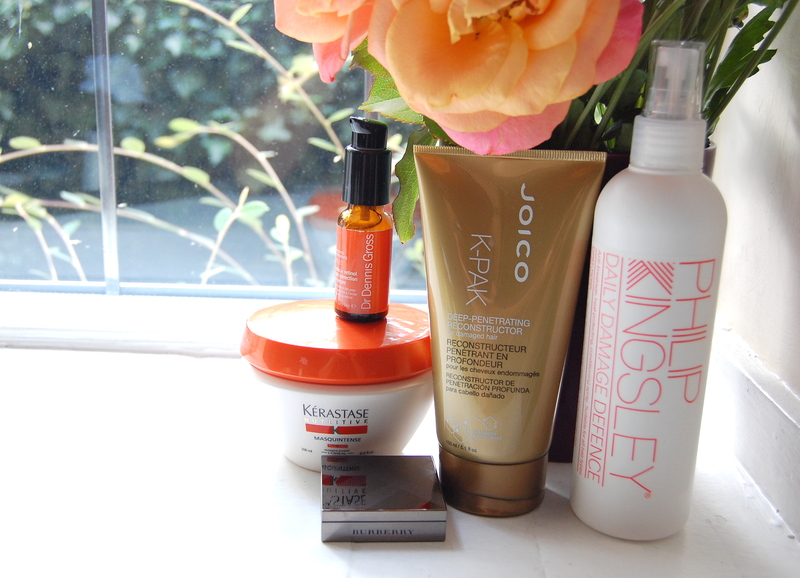 But I’m also pretty happy to have certain things back in my life, like Dr. Dennis Gross’ Ferulic + Retinol Triple Correction Eye Serum, Philip Kingsley’s Daily Damage Defence, and my favourite Joico K-Pak Deep Penetrating Reconstructor for Damaged Hair. I also finally bought a Burberry Wet & Dry Silk Shadow I’ve wanted for forever, but that’s been sold out every time I’ve looked for it. It’s called Mulberry, and it’s the most beautiful shade of mauve. I’ll show it off soon, but it’s a great autumnal shade that would work so well with my all-time favourite eye shadow, Burberry’s Chestnut. My brittle hair needed some TLC also, so I added Kérastase Nutritive Masquintense Treatment for Dry/Thick Hair to my basket and called it a day. So far so good! I haven’t used Kerastase in years but now that I’m getting along so well with this mask, I have a crazy long future shopping list. Maybe my next FeelUnique jaunt will produce a haul worthier of the name.